Amanda Furbee’s interest in herbalism began at an early age but it wouldn’t be until 2010, when she moved to the Pacific Northwest, that her relationship with medicinal plants blossomed. The move from the east coast to the west coast would be more than a change of scenery, it brought her closer towards the wonderful world of herbalism. Ambitious to start learning she found a golden opportunity working at Portland’s first all organic herbal supplier, The Herb Shoppe. Her experience was even more fulfilling than she had hoped for, feeling invigorated Amanda knew this was a step in the right direction. Inspired to take her knowledge further she enrolled in Rosemary Gladstars’ herbal certification course under Dr. JJ Pursell, the founder of The Herb Shoppe. Rosemary’s insights made it easy for Amanda to dive in head first, and like a vitamin for the soul Amanda absorbed all she could from the Mother of Herbalism. Amanda learned not only from the certification course but also from the shops informed herbalists and customer interactions as well. Within a few months of being on staff Amanda would find herself collaborating with Dr. Pursell and together they strategized the future of the company. As a result of their partnership The Herb Shoppe Pharmacy and Learning Center opened its doors on Feb 15th, 2014. More than a business it was created with the intention of becoming a community space for educators and collaborators alike, something Amanda was instrumental in developing. A couple years later Dr. Pursell proposed potential changes for the company and questioned her future with THS. After several months of deliberation the decision was made; Amanda would transition from partner to sole proprietor. The Herb Shoppe couldn’t have been left in more capable hands. Amanda continues to broaden her understanding of herbalism while making improvements to just about every aspect of The Herb Shoppe. Do you have specific health or herbal questions for Amanda? She would love to meet you and is available for one-on-one consultations as well. With an entrepreneurial spirit and the power of herbalism beside her The Herb Shoppe’s finest years have yet to come. Erin Rose is an intuitive and dedicated Portland body therapist, using creative techniques to help you discover your strength and flexibility. Every session begins gently and works into a depth of tissue that can support your recovery. Some sessions are very light and use physical vibration, while others are very deep with lasting compressions using knees and elbows. Each technique is used to decrease pain, and to increase circulation, range of motion and energy. A session with Erin Rose may include: postural assessment, deep or light stretching, deep compressions, manual vibration, and essential oils with hot towels. Erin Rose’s bodywork has a strong basis in Traditional Thai medicine. Not only a graduate of East West College, Erin Rose also completed full course work at the Naga Center-School of Traditional Thai Medicine. This 2012 Thai training included several classes in Slow Deep Tissue, Spasm Release, Focused Abdominal Care, Injury Recovery Support and Gentle Pre-Natal massage. As an ever-learning herbalist (12 years and counting!) in the Pacific Northwest, Erin Rose’s massage therapy and herbalism ethics are now interwoven, and fluid in practice. In session, Erin Rose will discuss and assess what techniques are best for your goals. Treatment can include a diversity of options such as: essential oils, steam towels, salves and liniments to enhance and complement your therapy benefits. The study of Thai Massage led Erin Rose to personally experience profound physical recovery. They continue to be in awe, not only of a personal transformation out of disability, but also in witnessing thousands of clients’ improved quality of life. Because of this, Erin Rose finds a true calling in bodywork as medicine, and takes every opportunity to help facilitate your health and well being. A treatment with Erin Rose is a chance for you to witness and experience your own pain relief process, with a patient listener and attentive caregiver. Outside the clinic, Erin Rose spends most leisure time in commitment to becoming a “skillionaire”, teaching, learning and living fully. They always aim to be described as a devoted parent to a dear teen, his cat friend and a little yellow dog on stilts. The whole family goes out together, enjoying Portland’s alternative transportation options, parks, museums, libraries, as well as nearby mountains and forests. 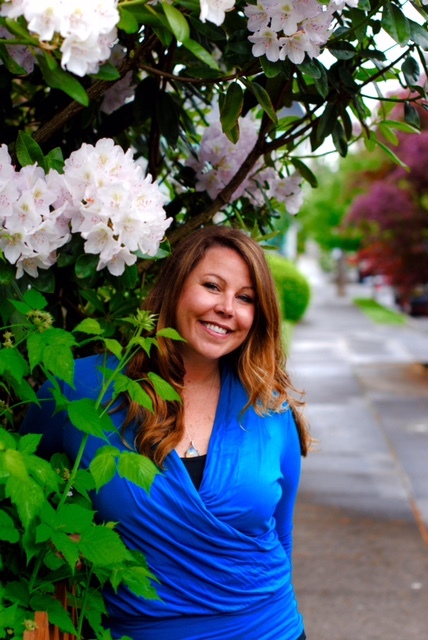 Erin Rose is a long time resident of the North and Northeast Portland communities and is committed to sustaining them. Mariah Talicuran is a North-West native and has immersed herself in the holistic healing community for a few years now. She is an herbalist in the making and engaging the community in alternative healing by establishing her massage therapy practice right here at The Herb Shoppe as well as The Everett House Healing Center. Mariah graduated from the East West College of Healing Arts and focuses on Myofascial Release, Deep Tissue techniques, and Swedish relaxation massage. She is currently in the application process of attending the Wellspring School for Healing Arts, specializing in Amma Therapy, which is a type of Korean body work rooted within Chinese medicine philosophy and Chinese herbalism. Mariah hopes to fuse her knowledge of western herbalism with the comprehensive approach Chinese medicine has offered for thousands of years. Mariah’s direct communication and genuine concern for her clients, in hand with her knowledge of the physical as well as energetic bodies allows her to truly tune into the client’s needs. Visit http://mariahtalicuran.massagetherapy.com/ for more information. Dr. Okojie earned his medical degree from the National College of Natural Medicine. 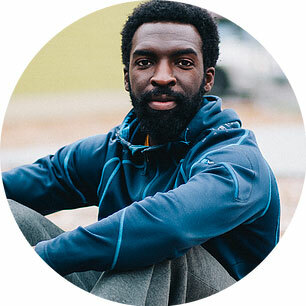 His practice is focused on the principles of movement and food as medicine. Dr. Okojie has worked with a variety of individuals ranging from college professors to elite professional athletes. He has also published an article in Naturopathic Doctor News and Review publication in 2013. Dr. Okojie’s educational background and expertise in nutrition, physical medicine, botanical medicine, anatomy and physiology, pharmacology, and biochemistry have given him a unique and holistic perspective about how to approach health and wellness effectively. His goal is to help clients to bring awareness and restoration of the self-healing process by offering a comprehensive and personalized approach. In his free time Dr. Okojie enjoys practicing and teaching yoga, coaching group exercise classes and being upside down. Born from a green thumb (her mother grew roses when they lived in Salem, Oregon), plants have always had a special place in Claire’s heart. Her very first friends after moving to the rocky foothills near Yosemite, California were the lovely yellow Monkey Flower (Mimulus guttatus), which she discovered on a trail near her backyard, and delicious Miner’s Lettuce (Claytonia perfoliata). Years later, Claire’s interest in native ecosystems blossomed while restoring maritime chaparral habitats for California State Parks in Big Sur and studying at California State University, Monterey Bay, where she earned her Bachelor’s Degree in Ecology. Here in the Pacific Northwest, Claire continues to expand her knowledge base, integrating her experience in restoration science with Ayurvedic, Traditional Chinese Medicine and Western herbal disciplines. She is deeply inspired by the profound healing effect plants possess and the beautiful relatioonship we can cultivate with the natural world when we understand and respect it. Claire serves as Internship Coordinator and Educator for The Herb Shoppe, and loves sharing her passion for plants – from their chemical properties to their uses in salves and tea blends. She plans to continue exploring Oregon’s native ecosystems, teaching, crafting medicine and eventually publishing. Teresa M.A. is an herbalist, bodyworker and life-long student of healing arts originally hailing from the east coast. She moved to Portland in July of 2014 after studying religion and spirituality at a graduate level in Berkeley, California. It was there that she began to explore the connection between alternative forms of healing and different social movements, focusing on the empowerment found in learning to heal oneself and the larger community at a grassroots level. Since then she has been intimately embraced by the world of plant medicine, and seeks to grow both a student and a teacher within an advancing network of seekers and healers. She is currently pursuing her LMT at The Wellspring School for Healing Arts in Northeast Portland. 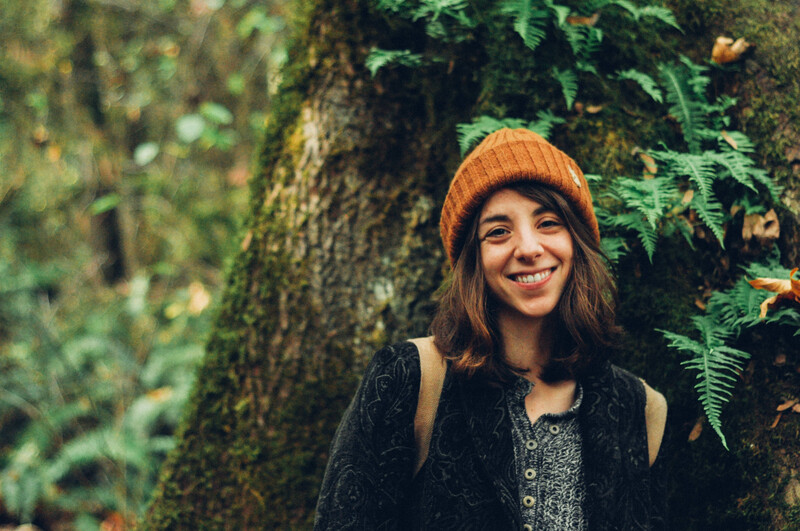 As a native of Portland’s periphery, Kelsey has often found herself immersed in emerald spaces teeming with moss covered trees, thriving flora & fauna, and the ceaseless cycles of life-giving water. While whimsically wandering through her neighborhood as a child, she remembers opening to the awareness of energy. Noticing that the energy running through her body is the very same energy running through the trees, she began to feel connected to all. This simple seed continues to evolve endlessly into a compassionate passion for nature, all living creations, and the infinitely unfolding universe. A deep desire to help people has led Kelsey on a beautiful journey through psychology, massage therapy, and herbalism. Allowing her intuition to freely guide her path, she now finds herself surrounded by wise healers and mystical medicine makers. 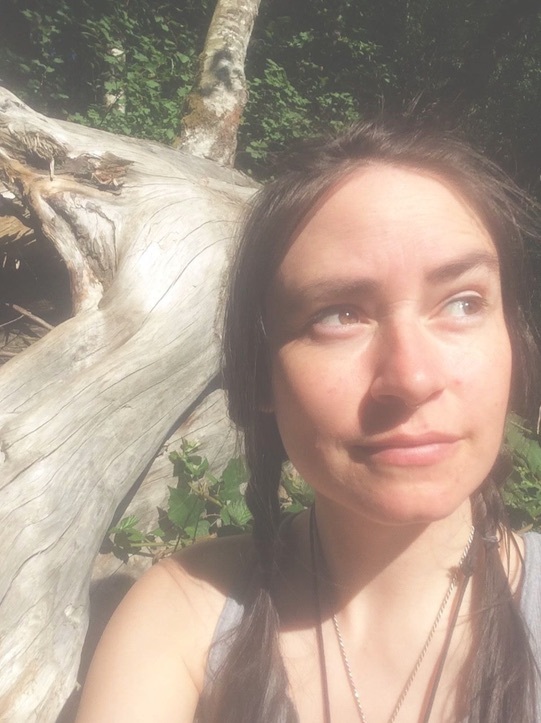 Within many moments you will find Kelsey soaring through the community on her bike, reading, practicing tarot, or writing poetry at a cozy cafe, or slowly sipping on the divine alchemy of plants in elixirs of many forms. 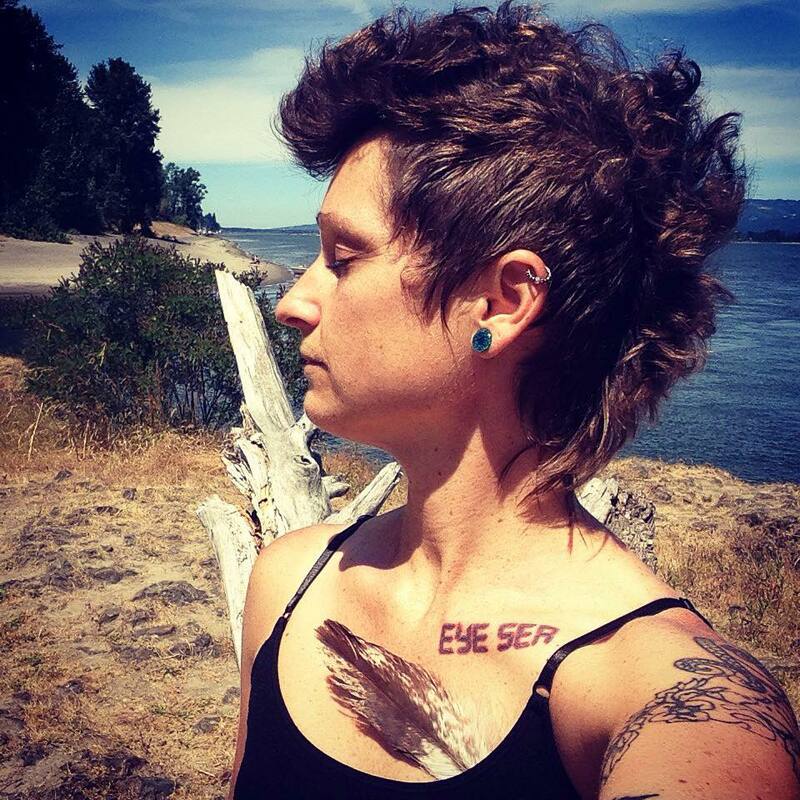 McKinley Secl is a massage therapist, musician, artist, and herbal potion-maker living in Portland, OR. Her artistic work has been described as heart-warming, whimsical, and visionary. 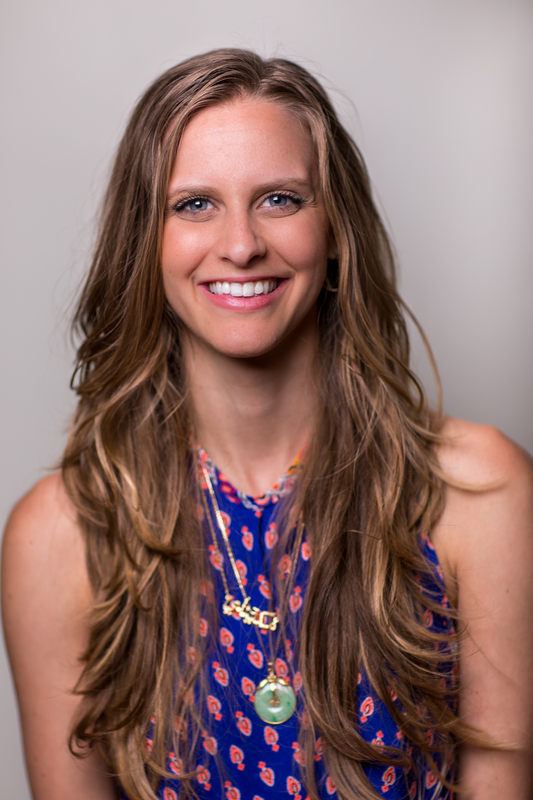 She is dedicated to facilitating peace-building, empowerment advocacy, and mindful living practices. She received her BA in International Development Studies and sought out post-baccalaureate coursework in health science. Since her undergraduate degree, she has engaged in intersectionality work such as women’s empowerment non-profits in India and co-facilitating healing circles around campfires. Her love of organizing workshops around self-care and healing continues alongside her bodywork practice. Her work has lent her a critical perspective that is infused into her practice. This perspective recognizes historical patterns that have impacted our culture of medicine, healing, and community building in relation to the environment, women’s bodies and traditional ecological knowledge. Her path to becoming a bodyworker began as a dancer, and student of a hybrid martial arts yoga. Her draw to healing arts practices was a natural extension of her love of bodymovement. Through an unexpected journey of recovering from a surgery and damaging chemical injection therapies, she began to use movement and holistic healing modalities for self-healing. She saw firsthand the considerable benefits of regular bodywork and movement for her own well-being. She has had the profound opportunity to experience giving intuitive massage to a family member on hospice and the peace it brought to them. Inspired, she continued her education to pursue her bodywork license through East West College focusing on Neuromuscular Therapy and Shiatsu meridian balancing. Her massage style is eclectic and creative. 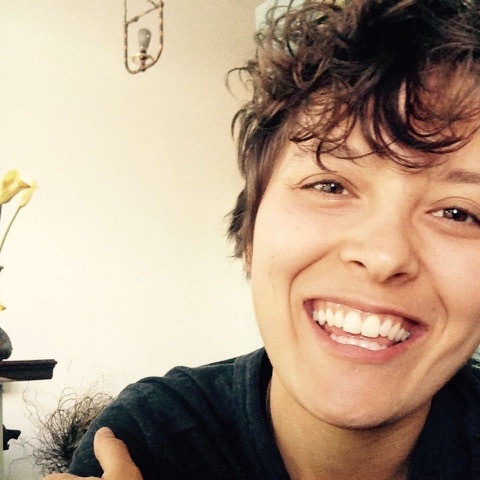 She is passionate about working with people seeking a holistic sacred space to compassionately reconnect and reintegrate the body, mind and spirit. She has a particular passion around seeing those who experience headaches and chronic pain from repetitive activity or stress. With her love of the outdoors and knowledge of herbal medicine passed down from her grandmother, she brings the essence of nature into her sessions through custom aromatherapy blends. Each “self-care session” is crafted to be a self-care ritual with the intention of inwardly reconnecting to the self and creating relaxation for the body to heal in order to outwardly create healthy, peaceful communities. She is inspired by allowing space for that small opening that sits in the lungs and expands in the heart when communing with mountain boulders in the light of the campfire, and the beat of the surfboard on the waves. Selina first fell captive to nature in the rolling hill of the Bluegrass. Swept up by the incredible words of poet Wendell Berry she began exploring her Kentucky home from limestone caves to the Appalachian Mountains. She spent 3 years advocating against mountain top removal and strip mining for coal in Eastern Kentucky. Selina traveled to Oregon in the Spring of 2014 for new experiences and to refuel her spirit. She moved into the Mississippi neighborhood the same week The Herb Shoppe Pharmacy opened their doors, and began her internship shortly after. 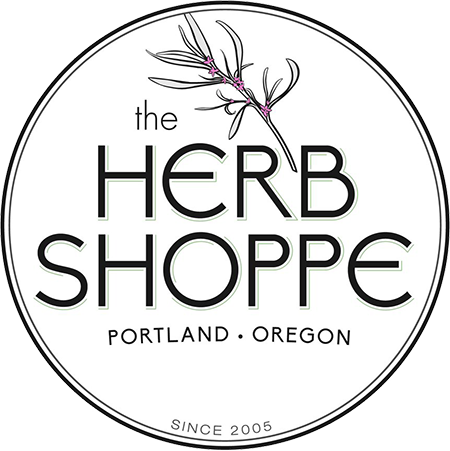 Seeking personal growth, knowledge, and community in a new town, The Herb Shoppe has provided her with a wealth of information, a network of like-minded individuals, hands on training and an outlet to help others. Enthralled by the natural beauty in the PNW, Selina is an avid camper, hiker, and wild flower lover! She is training to become a doula and is excited to support and empower mothers in each stage of their maternity. Nothing has ever made me feel quite as accepted as when the plants began to invite me into their family. Working with herbs has been one of the most rewarding experiences of my life. I believe that if we truly listen they will share worlds of ancient secrets and magic with us. My path into herbalism began years ago when I found I had wandered into an herb shop not knowing why or what I was looking for. I spoke with a woman revealing parts of myself I had no intention of letting anyone into and I left with my first plant allies that stay true to my heart this day. Finding comfort in a cup of tea or strength in a formula is like basking in the sun on a warm day or smelling the salt in the air as you approach the ocean. I strive to bring that feeling to those around me through the plants and the energy and body work I perform. The plants have been with us all through our life, but sometimes we lose that connection and I feel a special gift to offer that back to those who need it. Exploring the world feeds my soul and helps me to better understand where my place in this healing community is. When I traveled through South America, I had the privilege to work with Shamans and participate in many plant ceremonies. I learned to honor the land and honor my body. During this time I also received my first Reiki attunement and began to harness my powers as an energy worker and further develop my meditation and techniques for grounding and healing. As an herbalist, cranial sacral therapist and energy worker I believe in a holistic approach to treating the body and find that herbal medicine is both gentle and powerfully profound in this realm. I feel lucky to hear the plants and to share their wonders and joys with those around me. I feel a gift in connecting with people and am so grateful to work in a field that I respect and love so much.